…. I want to be like Markus Zusak! I don’t mean I want to be as successful as Markus – although obviously that would be nice! I mean I want to remain grounded, generous and honest. I’ll elaborate…. 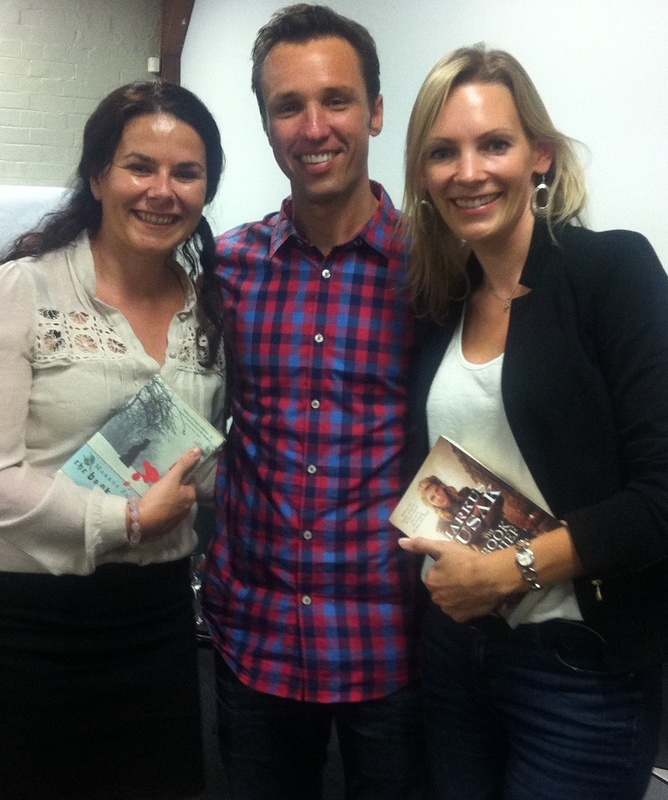 Last night Catherine and I were lucky enough to attend the ‘In Conversation with Markus Zusak’ Evening at the Australian Society of Authors in Ultimo. Markus was amazing, so laid back and humble, he could have been speaking to any one of us on a one on one basis in his living room, such was his demeanour, he’s also pretty funny too. One of the things that I loved was that he didn’t build a mystique around his writing process, or make it sound like a higher art, he doesn’t consider himself super intelligent, or ridiculously well read, he is just very passionate and dedicated to what he does, clearly very talented and he has worked very hard. And he is still working very hard. It took him 7 years to get published, but he knew it was the one thing he really wanted to do and he stuck at it. Catherine and I hung around to get our books signed at the end and Markus chatted to us for a good 15 minutes, he didn’t have to, we grilled him, it was all take an no give, but he was happy to give – I hope I can remember his generosity in years to come, when I’m pressed for time, have a book to finish and want to get home to the kids, but have two aspiring authors soaking up my every word. (Again, I live in hope 😉 ) I may sound like I’m gushing, but I suspect if you asked any of the attendees last night, they would all be gushing too! Thank you Markus! Now back to my novel! !